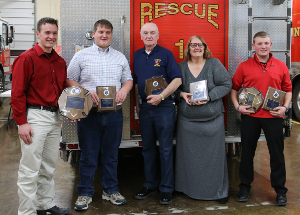 DUNDEE--The Dundee Fire Department and Emergency Squad held their annual awards dinner, Friday, Jan. 25. A number of awards were presented to members of the department for outstanding service and dedication. The department received a total of 814 calls in 2018, 162 for fires and 652 for emergency medical service. There were 2,772 hours of training in the department as a whole and a total of 13,007 hours dedicated in 2018. 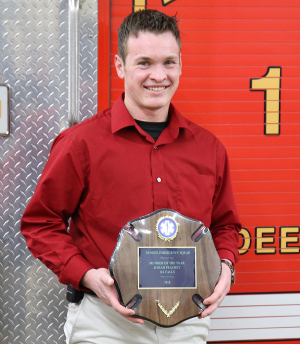 The Fireman of the Year for 2018 was Harlan Nolt. He also took the award for most training hours with 182.6. 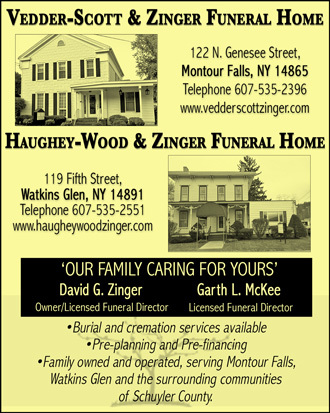 Outstanding Service Awards were presented to Gerald Zimmerman and Tracey Miller. 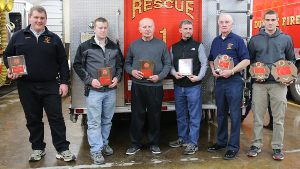 Special Service Awards went to Nathan Martin, Steve Hill and Harold Zimmerman. 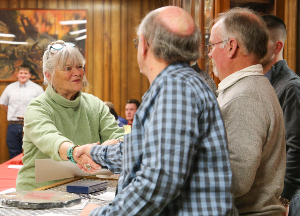 Community Service Awards were given to Caryl Sutterby and Ted Rapacki. The Chief's Award went to Ray Miller. 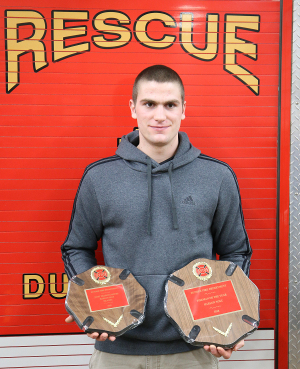 The Dundee Emergency Squad Member of the Year was Josiah Peachey. The training award went to Nick Fultz with 220.8 hours in 2018. The driver of the year was Gerald Zimmerman with 96 calls. Outstanding Service Awards went to Diane Warriner, Fultz and Ray Miller. Silver Coins were presented to Bill McIlvride and Zach Sullivan. 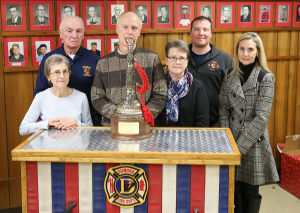 2018 past chief Doug Miller was presented with a special commemorative award marking his fourth term as chief. He has served from 1986-1987, 1996-1997, 2002-2003 and 2017-2018.